YOUTHFUL Zim dancehall chanter, Tocky Vibes – real name Obey Makamure – believes he still has a lot to offer to music lovers despite being labelled a spent force. 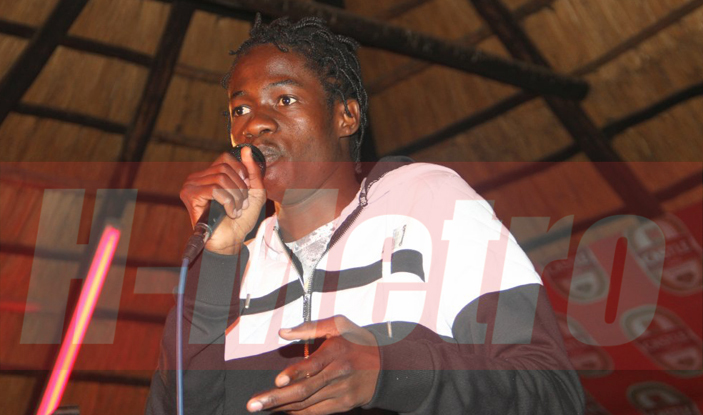 The Mhai hit-maker has vowed to silence critics with his third album titled Tsamba due for release soon. According to Tocky Vibes’ camp, the album carries 15 tracks. “I have finished working on my third album and it’s only waiting to hit the market. “We have just started printing discs and I am confident this album will restore my previous glory. “Music lovers should expect hits from this album as well. “With regards to the album title (Tsamba), this is a letter to my fans,” said Tocky Vibes. “One thing which I am sure is that all the messages in this album will strengthen Zimbabweans in these trying times. The album has been recorded by several producers namely Lyton Ngolomi and Munya Viya, T-Man, Mono, Movi D and Pablo. Tocky Vibes also told this publication that he is keeping fingers crossed and described the album as career defining. “This album will decide my career but I leave everything to my fans who have been supporting me through thick and thin. “My fans are my kings and queens so I always try to serve them before I do anything. “It’s an early Christmas gift and I am sure music lovers will listen to the album during the approaching festive season,” he said. To date, he has two albums namely Toti Toti and Kwata Zonke respectively.